Each card is divided into two halves with double line borders. The top halves are decorated with elegant neoclassical engravings representing either some deity, hero or memorable event selected from myths and religions of antiquity. There are no suit signs or numbers; each deity is distinguished by the emblems which are usually given them. The bottom halves contain explanatory details of the lives of the mythological characters. The backs are plain and some cards have been coloured by a previous owner. In those days interest in the history of ancient gods and classical mythology was inspired by emerging studies in archaeology, genealogy and other forms of antiquarianism. 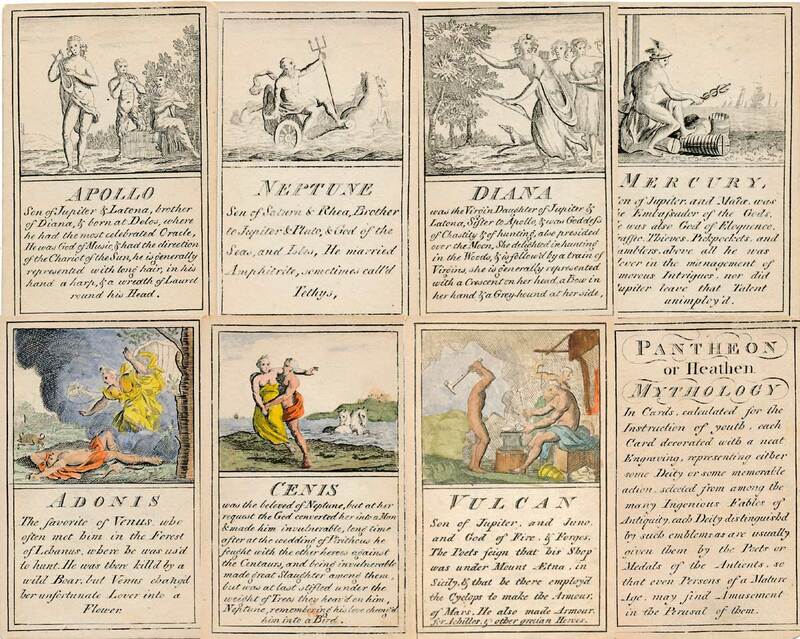 But these “Pantheon” cards were designed for amusement and sold at Willerton’s Toy Shop, London, c.1770. Interestingly there are two cards for two characters (Ceries and Iphis) both different, referring to different incidents. 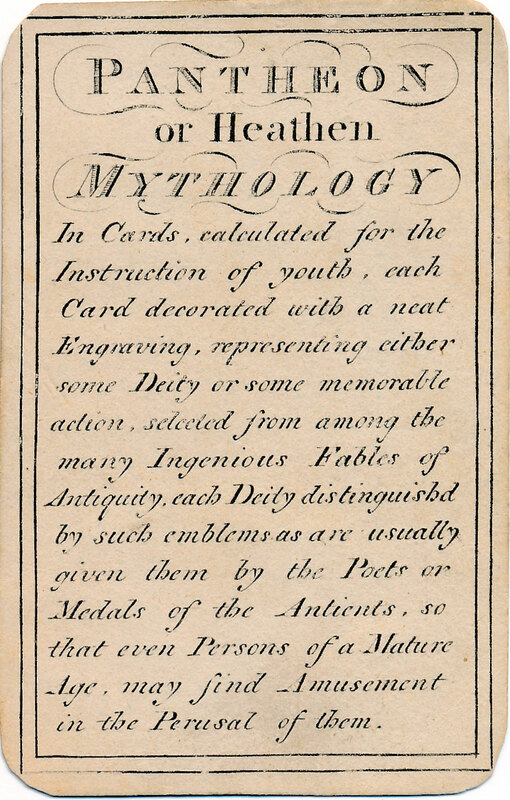 Above: Pantheon or “Heathen Mythology” cards for instruction of youth, c.1770.